I was proud to be a part of a special Memorial Day edition of “The Alternative” with Terry LeGrand this week. 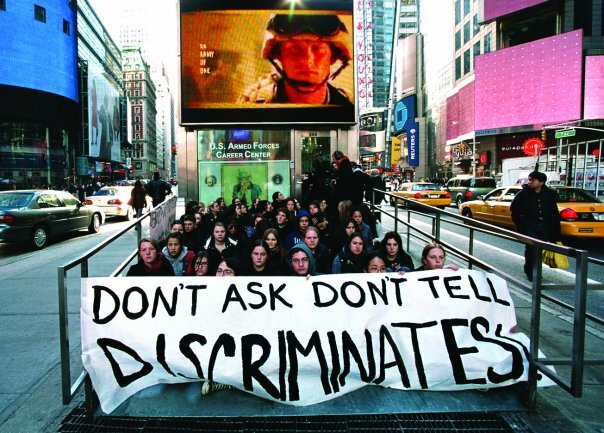 Once Terry got me started talking about all the reasons I hate the US military’s “Don’t Ask, Don’t Tell” policy towards its lesbian and gay troops, he couldn’t get me to stop. It’s a disgraceful, insulting policy – and terrible for the mental health of our fighting women and men. To hear why, take a listen to the show. I come on about 11 minutes in. You’ll probably end up sticking around to listen to the entire show – it’s always worth it. To find out more about Terry and “The Alternative on LA Talk Radio,” check out Terry’s website and the show’s website. As always, my thanks to Terry for having me on one of the most entertaining – and informative – shows on the radio.